Like us on Facebook and be kept up to date with all of the latest paintball news, player tips and photos, and most importantly of all… be in with a chance to win a paintball experience for you and your friends! You’ll gain access to the best deals in the Australian paintball industry, ensuring you get more bang for your buck on your next Adelaide paintball adventure. Whether it’s to celebrate the grand opening of a new Delta Force paintball centre, a red-carpet event for an exciting movie-themed scenario, or just because deep down we’re nice people underneath our full-head helmets and camouflaged overalls, there’ll always be a rock-bottom deal coming your way. Make sure you spread the word as these special offers will get everyone in the mood to play some paintball. Even get your boss involved as a day of paintball action feels that much sweeter when you get to shoot the boss. Sign up to our mailing list to ensure you receive the hottest paintball deals straight into your inbox. Whether it’s for the grand opening of a new Delta Force paintball centre, a red-carpet event for an exciting movie-themed scenario, or to celebrate another Delta Force milestone, we’ll always make sure you’re the first to hear about our rock-bottom deals. Make sure you tell your friends and colleagues to sign up as these special offers will get everyone excited for some adrenaline-fuelled paintballing. Even get your boss involved as a day of paintball action feels that much sweeter when you get to shoot the boss. 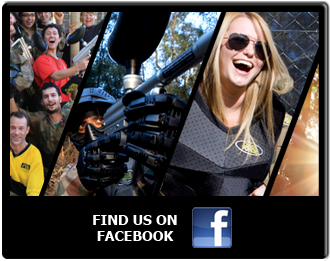 Have you got an amazing photo from your paintball adventure with Delta Force? If so, post it on our Facebook page and you could win an incredible prize in our photo of the week competition!